The Macalester-Groveland Community Council functions as a community sounding board and advisory agent to the city. It listens, inquires, plans and acts on a wide range of matters, including zoning and land use, traffic and parking, and capital spending. Our name is often abbreviated as “MGCC”. We were formerly known as the “District 14 Community Council”. All residents, students, employees, property owners, for-profit and non-profit business organizations (“businesses”), educational institutions and religious institutions in the District are Community Members of the MGCC. Community Members may vote at our Annual Membership Meetings, usually held in March or April of each year, as well as at any Special Membership Meetings that may be held. The Macalester-Groveland Community Council also is a vehicle for area residents, businesses and institutions to identify, plan, and address community goals. Explore the links about the Macalester-Groveland Neighborhood, our Board of Directors, and our staff to learn more about them. In July of 2016, the Community Council’s latest Comprehensive Neighborhood Plan was approved by the Saint Paul City Council. This document serves as a blueprint to future development and community improvements. In 2016, several District Councils launched a project – “The Engagement Project” – to investigate ideas on how the city and District Councils can continue our dedication to vibrant community involvement. Learn more about this project and read recent reports here. 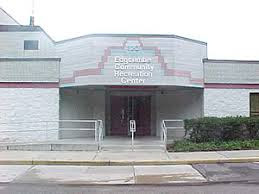 Our office is located in the Edgcumbe Recreation Center at 320 S Griggs Street.